We all love a good “Rocky” training montage. From chasing Chickens to improve speed and agility, to running up the steps of Philadelphia’s iconic Art museum to build stamina and endurance. You can do alot of boxing training at home. The montage builds a romantic image of a boxer’s journey, from having nothing to being world champion – all by dint of his own grit, determination and refusal to ever throw in the towel. But you could soon be creating your own Rocky-style training regime. No, you won’t need a chicken to chase. But with our handy tips, you can easily craft a home boxing workout with no equipment. Not everyone has the time or the money to hit the boxing Gym 3-4 times a week. 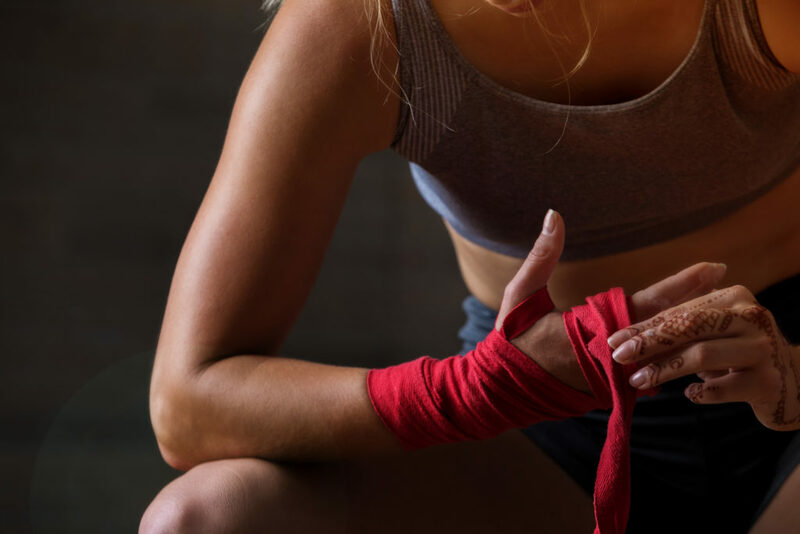 With our list of home-based boxing exercises, you can hone your technique and train your body without ever leaving the house or hitting a punching bag. Well, there’s a reason for that. 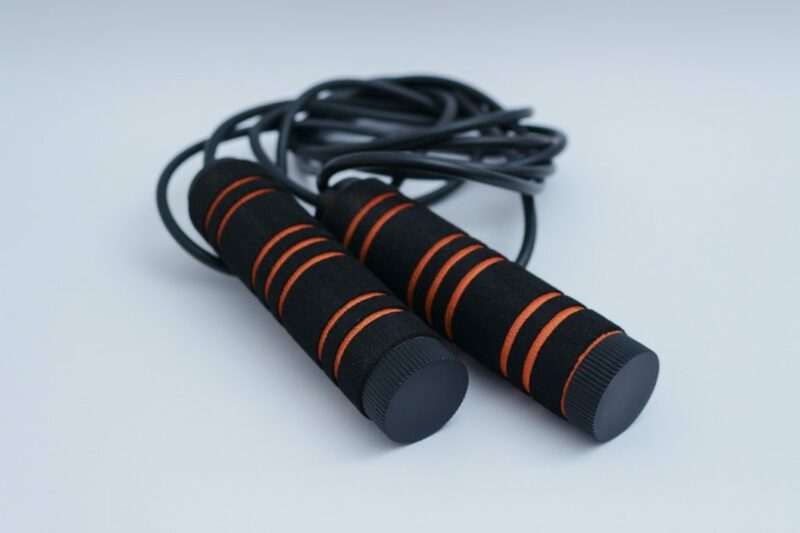 As a part of boxing training, skipping has many benefits – from developing lower leg explosiveness to improving your coordination, footwork and aerobic capacity. All of these can help with your movement in a fight, which can be the difference between victory and hitting the canvas hard. Compared to running, skipping works the arms wrists and shoulders, and the movements are arguably the closest matched to boxing of any cardiovascular training exercise. It’s also a great exercise to do at home. All you need is a couple of meters of floor space and a rope. And actually, you don’t even need the rope! Just mimic the same movements (jumping in place and moving wrists in a circular motion) in your living room to get the benefits. Want to work your core and your arms at the same time? Press Ups! Everyone loves press ups, don’t they? Well, whatever your opinion they are a great way to build strength in a tight space when you have no equipment. As with most home-based strength exercises, press ups are a simple way of using your own body weight to build strength in your muscles. They are a fantastic way to build power in your chest and shoulders, as well as working the core and your triceps. You can get similar results with pull-ups, chin-ups and dips, but the trusty press up only requires a bit of floor space for you to start working those muscles. Don’t forget that changing the position of your hands will affect the exercise! It’s pretty obvious; a strong core is vital for any boxer. Almost every movement that you make originates in your core so for something like a powerful punch, your core needs to be strong and stable. Your core muscles start around your mid-thigh and run all the way through your body and up to your neck. They are the basis for any powerful movement and facilitate the transfer of force through the body for the explosive movements required in boxing. Working your core is one of the easiest exercises you can do at home as part of your boxing training regime. There are a multitude of ab exercises that you can do with just a couple of meters of floor space – from your traditional sit-ups to bicycle crunches and Russian twists. Combine a few exercises into a pattern and set your routine, making sure to take breaks in between sets. HIIT (High-Intensity Interval Training) is enjoying a spurt of popularity at the moment and for good reason. The technique combines a cardio workout with strength exercises (The weight being your own body) and is a great way to work on your strength and endurance if you can’t make it to the gym. Simply combine some of the exercises mentioned above into a pattern to create your circuit. Then, perform your pattern for a few minutes before allowing yourself a short break. Everyone is different so set your timing intervals up to suit you, but don’t go easy on yourself. Full disclosure, going through the whole circuit is going to hurt. But once you’ve finished, your body will feel great! Hands up who walks in the gym and starts boxing the air around them, throwing jabs, hooks and uppercuts at an imaginary opponent? No, didn’t think so. But actually, if you can’t make it to the gym or don’t have a heavy bag at home, shadow boxing (throwing punches at the air) is an excellent way to practice techniques and work your core and upper body. Practice makes perfect, and it doesn’t matter if you’re hitting a bag, a person, or the air – repetition of a technique is the only way to truly master it. And unsurprisingly, it’s a fantastic cardiovascular workout. Just a couple of minutes of Shadowboxing will send your heart-rate soaring as well as helping you work on your technique, speed and power. Work your punch combos into a pattern and repeat for 2-3 minutes. Take a short break and then repeat. 6-10 reps is a great place to start.